Mr Schwartz is a partner in the competition and antitrust department, where he specialises in competition and antitrust, litigation, and commercial disputes. Mr Schwartz provides legal counsel to individuals and private companies with respect to antitrust matters relating to complex merger transactions, restrictive arrangements, and cases involving monopolies and abusive business practices. Mr Schwartz also represents companies in civil lawsuits and arbitration, including class actions and proceedings before the Antitrust Tribunal. Mr Schwartz received his LLM degree from Columbia University School of Law, where he was named a Harlan Fiske Stone Scholar. During his studies, Mr Schwartz served as a research assistant and was a member of the editorial board of the Columbia Business Law Review. 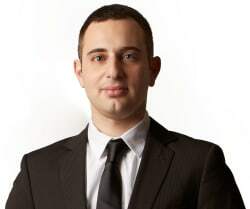 During his undergraduate studies, Mr Schwartz served as a research assistant at Tel Aviv University, Faculty of Law, and also served as a member of the editorial board of the Tel Aviv University Law Review. Mr Schwartz appears in the 2017 edition of Who’s Who Legal Competition: Future Leaders.